As it’ll come to maintaining your swimming pool, the thing swimming pool owners hear most often usually comes back to the pH level of the pool. And for good reason. If you have not paid too close of attention to the swimming pool’s pH level as of late, below we list some swimming pool pH tips for why it is important, as well as how to be certain that you are keeping it healthy! Plus, if all else fails, it is always possible to give us a phone call for professional pool maintenance! Because your swimming pool uses a ton of chemicals (i.e., chlorine) to keep it safe to spend time in, it is vital that you watch how these chemicals are affecting the pool’s water. If you use too little or you use too much, you might be creating an unsafe environment for your body, your skin, as well as your loved ones. The perfect pH level is someplace between an acidic state and base state (two ends of the pH scale). If there is too much alkaline in it, it may irritate the eyes and skin as well as additional adverse side effects, whereby if the level is too acidic, it’ll corrode both the swimming pool and the skin. Keeping it balanced (seven is the perfect number) is critical to appreciating your swimming pool safely and staying worry-free. There are a number of factors within the environment which will gradually change the pH levels inside the water of your pool. 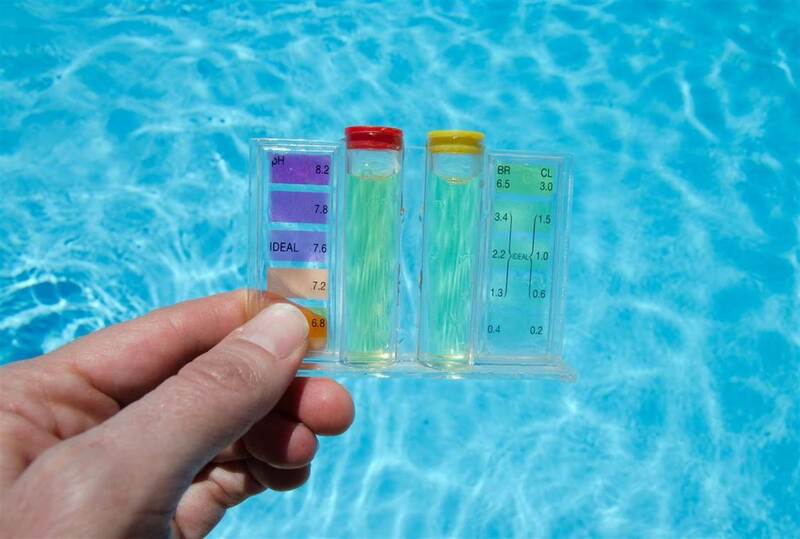 Due to this, you have to check the pool’s pH levels regularly and periodically. Utilize a test kit in order to be certain that the levels are right, and when they’re veering away from seven one way or the other, add the suitable chemical so you can balance it back out. Here is the best part about a water testing kit: it’s going to inform you which chemicals have to be added based upon the results of that water test. As you keep the pH level in your swimming pool regularly in check, as well as make sure that the balance is regularly within that seven pH range, it is possible to appreciate your swimming pool without worry. Plus, that is the type of complete relaxation you got the swimming pool for in the first place, isn’t that right? Because after all, having an area that’s safe, well maintained, and prepared for you to take a swim whenever your heart so desires is the ultimate in relaxation. In the comments area feel free to add in your top tips for keeping your swimming pools pH balanced and healthy. When looking for “swimming pool repair service”, get in touch with Winnipeg’s leader in pool renovation, repair, and maintenance – UV Pools. Contact us right away at (204) 414-1200. For more information on our Winnipeg pool safety cover services contact UV Pools today!